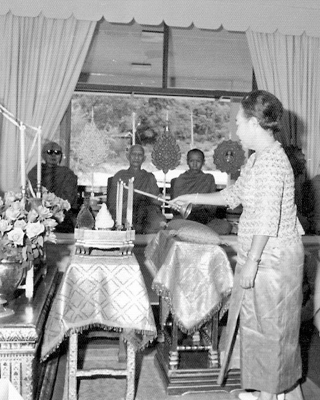 On November 30th 1975, the foundation stone was laid for a 'Pra Tamnak' or royal villa, named 'Chom Dong' (Woodland Vista) by Her Majesty Queen Rambai Bharni of the Seventh Reign, queen of His Majesty King Rama VII. This became her country retreat for the last years of her life. Here she spent many relaxed and contented days in relative privacy, for several months at a time. Old friends often came to stay. 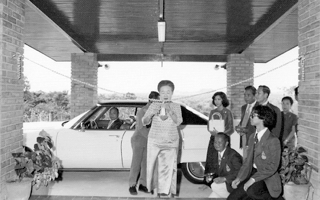 Whilst here she regularly played a few holes of golf at the nearby Royal Hua Hin Golf Course. 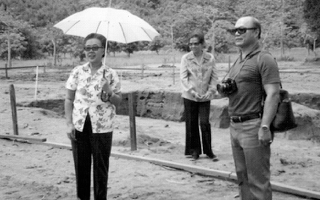 There were also visits by members of the royal family from Klai Kangwol Palace in Hua Hin. Klai Kangwol Palace was built in the 1920s by King Rama VII out of his privy purse and given as a gift to his Queen. During his reign it was his personal property. The name means ‘far from worry’ in English or perhaps ‘sans souci’ in French. 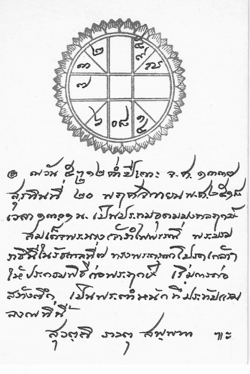 After the end of the absolute monarchy in the early 1930s it was owned by the Crown Property Bureau. 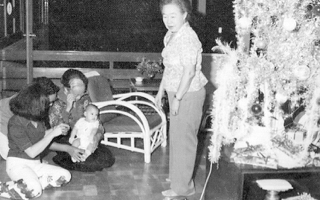 When Queen Rambai returned to Thailand in the 1950s she had an open invitation to stay at Klai Kangwol whenever she wished, but she felt that the Palace had too many memories for her, and it was also too big for her needs. She wanted a smaller place of her own and found the perfect location on the slope of Khao Hin Lek Fai National Park, surrounded by the hill on one side and with the sea visible two kilometres away. 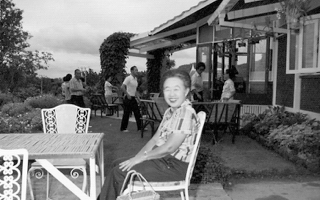 She built the simple two-storey villa with long verandas at the front and back that we see today and work was begun on the garden. At the beginning there was no municipal water, electricity or telephone. 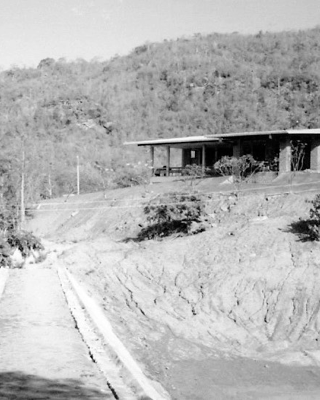 The Villa was reached by a road of compacted red earth. 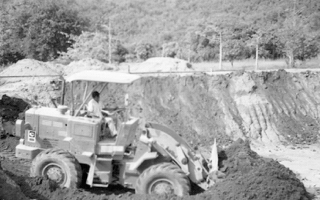 Rain water was trapped in a large underground tank under the Villa, and two reservoirs were excavated to retain water for the garden during the dry seasons. 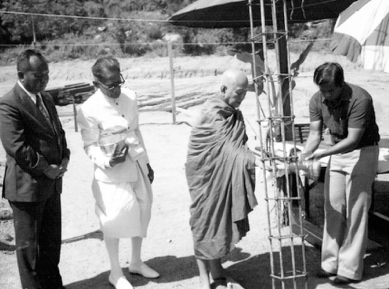 A diesel generator provided electricity, and a tall radio mast - which still stands - was erected so that the Villa could communicate by two-way radio with Klai Kangwol Palace. It seems that in no time at all a concrete road, electricity and telephone lines and mains water, cable television and high speed internet have appeared, along with mushrooming housing estates and holiday homes where empty land used to stretch as far as the eye can see. 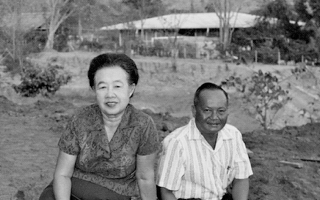 Over the past two decades, the Villa and garden were lovingly cared for by Pochana and Vilai Snitwongse, and later, by their son and daughter-in-law. 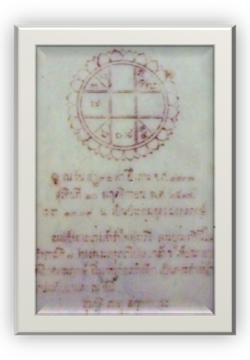 The grounds consist of three adjacent properties: the main part is Chom Dong Villa, with the later addition of Nornnon Villa to the southeast and Cherngkhao Villa to the northeast. Khao Hin Lek Fai National Park forms the north and northwestern boundary. 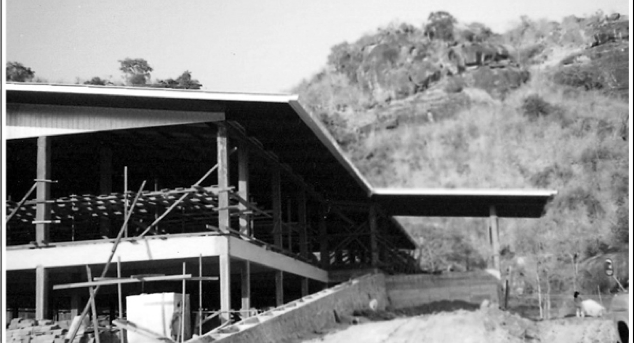 The main Villa is a long, simple two storey structure facing east towards the sea which can be seen on a clear day. The upper storey is surrounded by a wide veranda typical of old Hua Hin seaside residences. 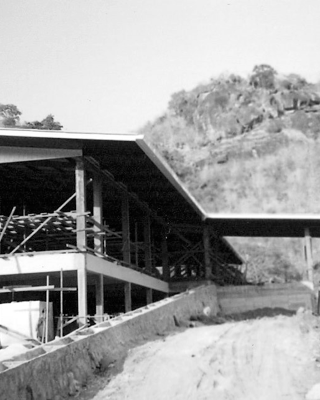 The other two villas, Nornnon and Cherngkhao, are single storey bungalows. There is also a children’s treehouse on a tamarind tree near Nornnon. In addition, there is a small Thai-style bungalow, Namnorn, for our guests. 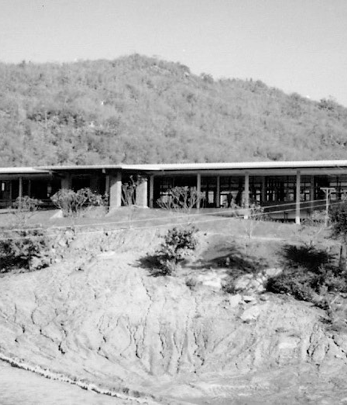 The Villa stood in peaceful isolation during its first two decades, but, of late, houses and residential communities began to spring up nearby as Hua Hin expanded. The road to the Villa has been widened and extended up Khao Hin Lek Fai where a public garden and several viewpoints have been built. All these developments change the ambience of the garden somewhat but the grounds are extensive enough to maintain privacy and continue to be a sanctuary for plants and wildlife.